Ati`oollaha wa ati`oo ‘r-Rasoola wa ooli ‘l-amri minkum. As we said in the previous two sessions about the different realms that not a mureed, but a wali can attain, it is not so easy to understand them and get them. Ati`oollaha wa ati`oo ‘r-Rasoola wa ooli ‘l-amri minkum. Grandshaykh and Mawlana Shaykh (q), in every lecture in previous times, would make sure to read that verse of Qur’an to, “Obey Allah, obey Prophet and obey those in authority.” Awliyaullah know if you are not only reading but behaving according to those who are your guides, obeying your guides, Prophet (s) and Allah (swt), it will open all these levels that awliyaaullah are running to reach, in order to attain the highest level in spirituality. We speak about spirituality only like a lecture, but really no one is experiencing the Reality of spirituality. If we are experiencing it we will be living it; it is our life story. Today on computers in the Internet browser menu is a selection, “Previous History.” If you select “All History,” all that you have watched or acquired from the Internet will come up. Imagine an angel on the Day of Judgment, when Allah (swt) orders it to present your notebook of all you have done. It clicks one button and all of the previous history of your life appears! So we are in a critical position. Don’t say, “We didn’t do anything, we are innocent!” No, we did everything and we are not innocent; no one is innocent except Prophet (s)! The only innocent ones are prophets. Awliyaaullah are given the level of protection. They are not innocent, as sometimes they too might do something, as they are going through the same road that people are going, but Allah (swt) has protected them. Some awliyaa are given a grant from Allah and some are given progress through struggle, ijtihad, in different levels. For example, Mawlana Shaykh (q) might say to a person, “Don’t do this,” and that person may object. And Allah (swt) said in the Holy Qur’an, Ati`oollaha wa ati`oo ‘r-Rasoola wa ooli ‘l-amri minkum.” Obey! If your shaykh tells you, “Do this,” do it and if he says, “Don’t do this,” don’t do it and don’t question why!! If your tongue doesn’t question, your heart is questioning a hundred percent, and that means you are still struggling. A beginner in sainthood, wilayah, is still questioning. But on the higher level he does not question; he submits completely, annihilated in the love of his shaykh, Prophet (s), and Allah (swt). When Sayyida `Ayesha (r) asked Prophet (s), “Why are you still praying so much when Allah (swt) qad ghafarallahu lima taqaddama min dhanbika wa ma ta’akhkhir, He forgave you all your sins from what came before and after?” what did Prophet (s) answer? Alaa akoonu `abdan shakoora? “Should I not be a thankful servant?” It means, “Allah (swt) forgave me but my duty is to keep doing it, to show thanks.” When you do more, it is a sign of thanking Allah (swt) for His mercy, rahmah. So the awliyaaullah continue doing more. That is what I saw in Grandshaykh’s (q) time and now in Mawlana Shaykh’s (q) time; their daily life is not for them, it is for their followers. They eat a small bit of rice and bread, and then their whole day is spent showing love to the followers. Sayyidina Abdul Qadir al-Jilani (q) said, “If you give your life for your students, you are giving to Allah (swt).” You are not running after dunya. If you run after akhirah, Allah (swt) opens akhirah for you, and for those who run after dunya, Allah (swt) opens that to them. Rich people know how to do business, they run after dunya to get money and they get it. And rich people for akhirah are running after akhirah; Allah (swt) gives and they can make their akhirah. There are five different presences, different levels, and in every level is the presence of the Divine. The first level, the Worldly Kingdom, is `Alam an-Naasoot (1). The second level is the Heavenly Kingdom, `Alam al-Malakoot (2), where you go when you achieve the first level. The `Alam al-Malakoot is a level that is related to Heaven and has nothing to do with dunya. And he said that it is the level where all the Beautiful Names and Attributes are manifested, descending down through many levels that we will describe later and they will come to heavenly levels, from `Alam al-malakoot. The realities of these Beautiful Names and Attributes are manifested from the top down. They first appear in the fifth and the highest level, `Alam al-Haahoot (5), and then descend to `Alam al-Laahoot (4), then continue descending to `Alam al-Jabaroot (3) and then to `Alam al-Malakoot (2). I cannot say they are the lowest in `Alam al-Malakoot, but we can say that fewer realities appear in this level than in the three upper levels. So he said that in that level of al-Malakoot, these Beautiful Names and Attributes have already given their knowledges to the upper three levels. Then whatevder is left is read by awliyaa in this level, who get it and read it and spread it to their followers in order that they can completely leave dunya. And that is to where they can advance. That is why you see in people the sign that they are in the second level from the bottom, you see them coming to the presence of Mawlana Shaykh (q) and sitting, and taking some time from their dunya to spend on akhirah, `Alam an-Naasoot, for their akhirah. That is a sign they are receiving from the blessings that come from `Alam al-Haahoot descending to `Alam al-Jabaroot and then to `Alam al-Malakoot. When they reach `Alam al-Malakoot there you begin to know the reality of the Beautiful Names and Attributes. For example, you begin to taste patience if you are under tajalli of the Divine Name, “as-Saboor” (the Patient). If you are under the Ddivine Name “al-Waahid,” (the One) you begin to feel the Oneness of Allah swt in all your behaviors. If you are under “al-Ghafoor,” (The Forgiver) you will see that Alalh is forgiving you and you begin to commit fewer sins. If you are under the name “al-Razzaq,” (the Provider) you begin to see more rizq coming on you. Whatever Name you are under, you can see it and you feel it. If you are under the Name “al-Kareem” (The Generous), you will begin to see generosity come from you. You will give everything, even if you have nothing in your pocket! So in that level awliya make their students feel these manifestations. I am surprised to see how Mawlana (q) gave a lot of that, by people leaving their dunya and flying from around the world to have a glance of him, because Mawlana (q) is not as before, too much sitting with people. And they have a glance and are seeing him for five minutes, and they are happy and satisfied. So in that heavenly kingdom, al-Malakoot, there are seven levels. What Allah (swt) has described and what he Prophet has described of the seven heavens, are all in `Alam al-Malakoot , the heavenly kingdom, from the first to the seventh levels. So students of a great shaykh, the great shuyukh have been authorized and ordered to raise their followers from the first heaven to the seventh heaven, to keep them in these seven heavens and continuously uploading to their heart, what they are receiving from Prophet (s). They are uploading these realities to the hearts of their followers from the first heaven to the seventh heavens. From whatever level of heavens the shaykh is speaking, he dresses his followers from that heaven. If he is speaking from the first heaven he dresses them from the first heaven. If he is speaking from the second he dresses them from the second heaven. Similarly for the third or fourth or fifth or sixth or seventh, he is dressing from these heavens and giving them the realities to their hearts, but it is veiled. Sometimes they are allowed to feel it and they feel something. For example they say, “We feel something today,” or “I am crying,” or “I am happy.” They are feeling that manifestation that is coming. You might say “I saw a nice dream,” or “I saw my shaykh,” or “I saw Prophet (s),” or “I saw a wali,” or a saint or another prophet. You have to know that it is from these manifestations, coming by what they throw in your heart. That can appear to you as dreams or in your behavior on that day. So whatever there are of realities from the first to the seventh heavens, in that Heavenly Kingdom in the second level you will know about it through the power you established through your religious meditations or through your voluntary worship or contemplation or your thanking Allah (swt) or through your doing something that Allah (swt) likes. It is like the hadith of Prophet (s) about an incident in a desert, where there was no water. There was a thirsty person looking for a well, to drink, as in the old times they used to dig wells for caravans passing to find water to drink. So he found a well and went down in it to quench his thirst, and he came out and found a dog that was about to die from thirst. So that man went into the well and put water in his shoes and brought water up for the dog to quench his thirst. And Prophet (s) said, “That person saved himself from Hellfire by quenching the thirst of that dog.” You don’t know by what Allah (swt) will give forgiveness and raise you up. These seven levels are given to awliya in dunya, to give to their followers. That is why all the best role models, `Alam al-Mithal, is inside these seven heavens; you cannot find anything of dunya there. You begin to perfect your behavior by watching the activities we cannot describe, you begin to see and are watching it. And Allah (swt) will authorize Prophet (s), and from Prophet (s) to awliyaullah, to show to you, and you begin to observe changes in your life, from the lowest to the highest. There is no way to change from the highest to the lowest. The reality of “al-Kareem” is that Allah (swt) gives and does not take; there is no taking away. You have “take-away” at restaurants, but generous is to sit and eat! “Take-away” is not acceptable to awliyaullah. Awliyaullah like their followers to sit and eat from their heavenly food; you cannot take it and eat later. Their presence will give you more blessed spiritual food and if you eat at their table it is blessed food that becomes barakah for you. So wherever Allah (swt) has granted these seven heavens, it will be given to you by your shaykh when you are following his guidance. That is why Allah (swt) said in Holy Qur’an, “Say to them, ‘If you really love Allah, follow me!’” Finished! He didn’t say, “do,” but said, “follow,” follow Prophet (s) in his journey. You might not do, but if you follow that is more important. That secret is given to awliyaullah. If you follow them, if they go to the masjid to sit and give a lecture, sit and follow the lecture, even if it goes in one ear and out the other. Follow, it will benefit you. If they eat, you eat. If they sleep, you sleep. Once in Grandshaykh’s time, he wanted to show how they are not with you, they are with Allah (swt), but their hearts are guiding you. They are not being disturbed by what you have been doing because their hearts are with their Lord. So whatever he does you have to follow; you cannot say, “No.” You have to follow what they are doing, as they are able to reach the other side of the ocean but you cannot. If you follow, you reach. Don’t say, “I will do later.” No. What they are doing, you do. It is not important if you did it well or not, but it is important that you followed them. As Allah (swt) said, “If you follow Muhammad (s), Allah will love you.” So follow your guides; whatever guides you have, follow. You cannot be like them. So one time Grandshaykh wanted to rest and he laid down on his couch, an Arabic style couch, and he said, “I am going to rest, you rest.” We were young, so how are we going to rest? Their rest is `ibaadah, worship. Their heart is always connected but they need some time when they are not disturbed. As soon as they put their head on the pillow they are gone, but as soon as you put your head on the pillow you begin to think of the whole world, unless you are lazy, then you might be sleeping. (laughter) How long does it take you to sleep, Zulfikar? You are lazy. (laughter) So we were laying down but not sleeping. So he woke in one hour and said, “You slept?” What were we going to say? We said, “Sayyidee, you know better.” He said, “OK, next time you sleep.” But when you lay down with him, he raises you higher and higher. And one time he said, “I am sleeping and you rest,” and his holy head was on this Arabic style couch, with his head here and his legs here. So I came to sleep with my head at his feet and he said, “No, it is not adab. (Lay down) head-to-head.” So my head was here and I was sleeping this way and immediately when he slept, he was gone. I put my head there, and he put his hand on my head and he was pushing it down. And I saw myself falling, not falling, but going through a huge well and it had no end. And his hand was pushing, pushing, pushing all the way down. I wanted to open my eyes, but I remembered he said, “No, sleep.” As long as my eyes were closed I could see him pushing me down in the well. And I was frightened to open my eyes, as it would be as if I disobeyed him. Then suddenly he took his hand and I saw myself going out of the well, flying up. I opened my eyes and I saw him open his eyes, dimmed. And he said, “You slept well?” I said, “Yes, I slept well.” You cannot ask a question, “What did I see,” or, “What is that?” This is the first time I mentioned that! They have that power to follow what they ask you, as they permit you to reach these Beautiful Names and Attributes. They are descending from upper to lower, as we said, from highest `Alam al-Haahoot, the Unknown Kingdom, to `Alam al-Laahoot, to the Lordly Kingdom. “Haahoot” means “huwa.” Qul huw Allahu ahad, “Huwa, He is the Absolute Unknown;” no one knows the reality of Allah’s Essence. And `Alam al-Laahoot is the Worldly Kingdom; also no one can know it. “Haahoot” is unknown; no one can know it. “Lahoot” is kind of Creator, and “Jabaroot” is related to al-Jabbaar, the Abolisher; He creates and abolishes as He wills. “Malakoot” is the level that descends from higher levels, in which, they give you the realities of the Beautiful Names and Attributes and perfect you in a role model. So in these levels, we are saying in Malakoot you will know the reality of the Beautiful Names and Attributes, whatever comes.  And you know the reality of anything in this universe, “`Alam al-Aflaak,” the reality of the planets, the seven heavens, and where they are relative to this universe. It is completely separate from this universe, but you can see the relationship between them. We will continue next time insha-Allah. Is Mawlana on? We can pray Dhuhr and when Mawlana comes, we are ready inshaAllah. Wa min Allahi ‘t-tawfeeq, bi hurmati ‘l-habeeb, bi hurmati ‘l-Fatihah.